After the turn of the century numerous new rallies were introduced to WRC. Being one of the those was an unenviable task due to intense competition to get included and difficulty in having distinctive profile to set one apart from the others. Rally Jordan had it easier in the profile department as it was able to offer many unique features like being based on Arab-country, desert setting and altitudes below sea-level. 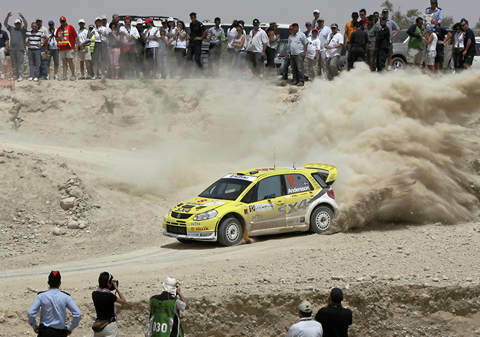 Rally Jordan has it's roots in FIA's Middle-East Rally Championship where it has been qualifier for decades. In 2005 organisers decided to bid for inclusion in WRC and duly ran their event as a FIA WRC candidate in 2006 and 2007. 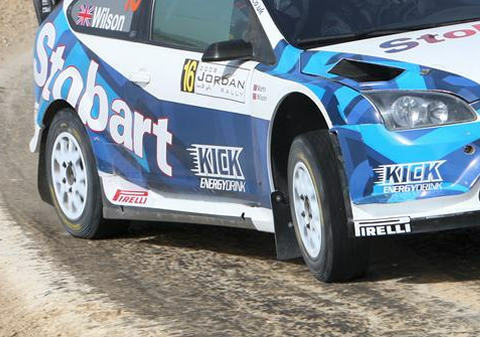 FIA recognised these efforts by including the event in 2008 WRC calendar. Setting is very interesting and rally has many unique features. So far, the only other Arab country that has hosted a WRC event was Morocco in 1970's and by coming to Jordan, WRC rids itself off of one regional deficit it has had. Desert, sand and eroding rock are landscape that has been familiar from rally raids but not in WRC since Morocco. Rally Jordan changes this but unlike rough tracks of Morocco, roads in Rally Jordan are generally so smooth that teams could - in theory at least - use tarmac specification cars. Lastly, there is the question of altitude as most of the stages are held as much as 400 meters below sea-level, though at times climbing up to 1000 meters above it. Jordan has very high level support as country's royal family backs the event, indeed has backed it for a long time. There have been some doubts regarding the safety due to volatile situation in Middle-East but high-level support should help in this respect. Some of the roads are very smooth with a packed hard base of saline terrain, clearly evident on this photo. And some are more typical gravel roads with loose on the top, making grip non-existent for first runners. Desert near Dead Sea is not traditional with dunes and such, but very dry, hot and uninviting place. Friends in high places: King Abdullah II and prince Feisal al-Hussein greet drivers during 2008 event.